Thanks to the Missouri Foundation for Health’s Infant Mortality Reduction Initiative, collaborative partners, FLOURISH, Generate Health, and donors such as the Fred Saigh Foundation, SIM Mom Training is the newest simulated training program offered to members of the St. Louis Fire Department. 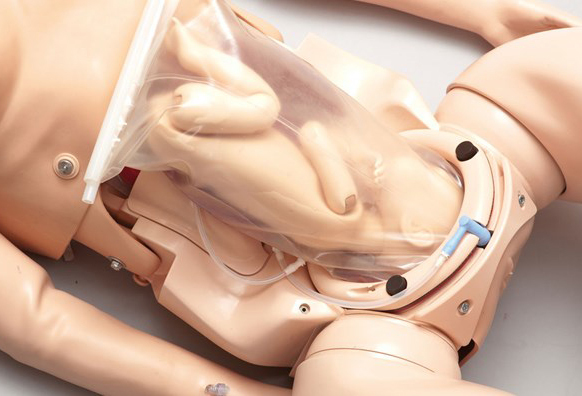 The hands-on training uses a SimMom® simulator — an advanced full-body birthing simulator with accurate anatomy and functionality to allow team training of a variety of birth situations. 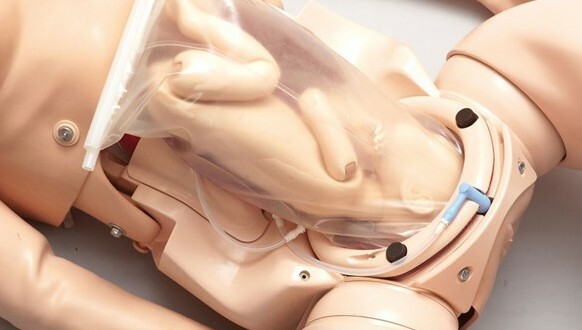 Located at the STLFDFoundation’s SIM Center, training for high-risk infant deliveries is available with new state-of-the-art training mannequins able to simulate a variety of emergency delivery scenarios including neonatal resuscitations. As a new educational team member to the SIM Center’s arsenal of life-like, bio-feedback mannequins, SIM Mom joins a team of training simulators ranging from adults to children (who were part of the successful Kids SIM program begun in 2014). Acquired early this spring by donors to the St. Louis Fire Department’s St. Louis Fire Department Foundation the SIM Mom mannequin, neonatal accessories, enhanced training and technology complement the SIM Center Program’s purpose is to help address the current infant mortality rate in St. Louis. In 2016, as part of their Infant Mortality Reduction Initiative, the Missouri Foundation for Health (MFH) offered a collaborative grant opportunity to organizations passionate about addressing the disproportionately high rates of infant death in portions of St. Louis — where there are neighborhoods with an infant mortality rate that is worse than some developing countries and are double the (2012) national average. After a detailed six-month application process, the St. Louis Fire Department Foundation was awarded $99,000 grant in December 2016 (to be distributed over two years). This grant, partnered the St. Louis Fire Department Foundation with FLOURISH St. Louis — the collective impact effort coordinated by the Maternal, Child and Family Health Coalition — and allowed them to not only purchase complex simulated equipment, but also provides communication with others in the community working to address the problem through convening meetings and strategy sessions. Once a STLFDFoundation SIM Center SimMOM classroom curriculum was developed, classes began earlier this year. But why is simulated birthing important for St. Louis EMTs and Paramedics? Infant mortality is the death of an infant less than one year of age. While the national average infant mortality rate (IMR) is six per 1,000 live births, there are parts of the St. Louis region whose IMR is above 16. Many factors contribute to such a high rate, most relate to the socioeconomic status of the highest affected areas and their access to pre- and post-natal care. Increasingly, SLFD first responders are treating pregnant women and infants who have never seen a doctor. Several times a year those patients will be premature, have low birth weights, or any of the various pre- and post-delivery conditions. With the addition of the SIM Mom to the SIM Center’s core curriculum, they are able to train for common and high-risk scenarios including umbilical cord distress, breech births, placenta complications causing excessive bleeding, and many more — most scenarios lethal to newborns. Progress: After six months, participants in the program have shown marked improvement. Led by STLFDFoundation Paramedic Supervisor, Chris Thompson, classes provide hands-on simulations to EMT and Paramedic first responders. After classroom review of pregnancy, complications, patient assessment, and procedures the participants use the SIM Mom mannequin to practice hands-on deliveries of newborns with various complications. By the end of the course, EMTs and Paramedics are able to perform high-risk deliveries such a nuchal cord presentation (umbilical around baby’s neck), breech, limb presentation (when one limb emerges before it is supposed to), and celaphic (head/face in the non-standard position). However, before the classwork begins, participants are tested to assess their incoming knowledge of the subject. They are again tested upon completion of the course. The combination of materials review and hands-on simulation resulted in significant increases in base knowledge of the participants. Thanks to the support from donors to the STLFDFoundation St. Louis Fire Department Foundation, training with SIM Mom helps identify gaps in knowledge of birth complications and opportunities for remediation. In 2017, the hands-on portion of the training was well received among all shifts and licensure levels. Further hands-on training in the areas of breech deliveries and associated complications is planned to take place in late 2017 and early 2018 ensuring proper training and skill improvements for imminent pre-hospital births and pre-hospital care.